A new business center is underway to provide entrepreneurial training, financial education, and access to capital. 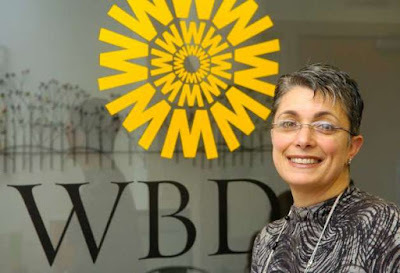 The Southeastern Connecticut Women's Business Center is located at New London County, Connecticut and will be operated by the Women's Business Development Council. Having had a long experience in managing women's business centers -- one in Farfield County for 21 years and in New Haven County for 10 years -- WBDC is expected to bring more advancement to women in the business sector. The center was made possible by a grant they received from the U.S. Small Business Administration, which is $75,000 for the second half of 2018 and $150,000 each year after. It was the first time expansion grants were given to women business centers and that's thanks to the current SBA Administrator Linda McMahon. Fran Pastore, the CEO of the WBDC, said it was just time for a business center to be built. "The resources are here and they exist and the momentum is here, and we want to help you capitalize on that momentum," Pastore said. She continued, "We, as women, have an obligation to help other women in this world, and the time is now." The center aims to help women entrepreneurs with their startup, emerging, or established businesses. Numerous services will be provided such as counseling services, long-term training, business class, among others. Currently, they are looking for more volunteers including marketing specialists, accountants, and lawyers. They will also be forming an advisory board as required by SBA.